This beautiful Lincoln Model K is from the first year of K-Series production, 1931. The cars would be made through 1939 and offered for the beginning of the 1940 model year. All cars built in the first year were offered with the 145 inch long wheelbase. The engine was an improved version of Henry Leland’s original 6.3-liter V8 that was introduced 10 years prior. It made 120 horsepower and would be replaced for 1932. The body on this thing is gorgeous though. It’s a dual-cowl phaeton built and designed by Lincoln and it very much rivals some of the great coachbuilt bodies of the era. This car was restored for the first time in 1975 and again in 2005. It was acquired by the current owners shortly thereafter and expertly maintained since. It has been shown at numerous shows and has only covered 23 miles since its restoration (!). I understand show cars and why they are so babied, but this thing begs to be driven. It’s amazing sitting still and cars always look (and sound and smell) better in motion. It is expected to sell for between $125,000-$175,000. Click here for more info and here for more from RM at St. John’s. 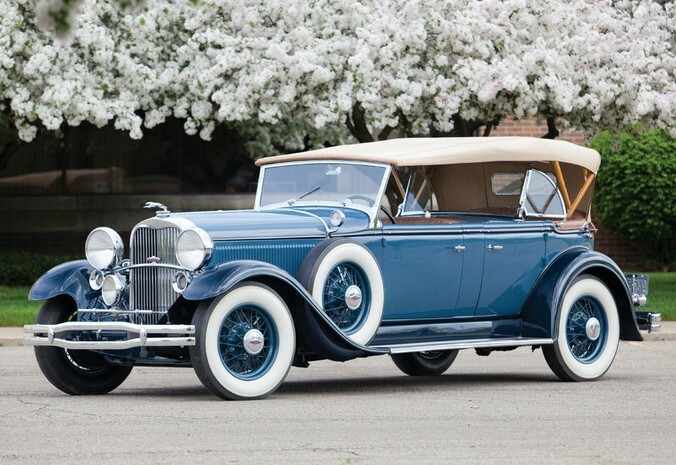 This entry was posted in Uncategorized and tagged 1931, auctions, cars, classic cars, lincoln, model k, phaeton, sport by classiccarweekly. Bookmark the permalink.